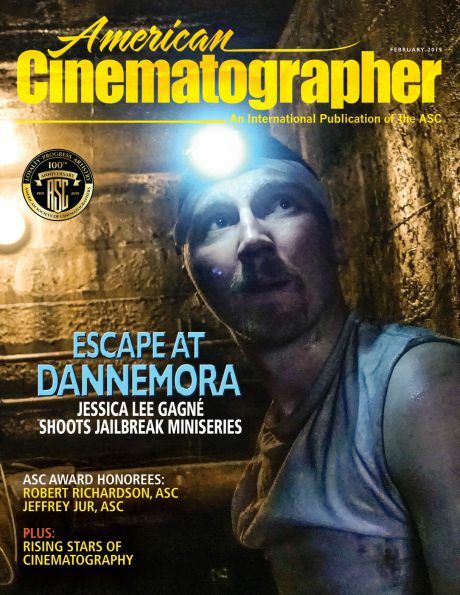 The upcoming December issue of American Cinematographer will feature a special focus on holiday-season releases. If you subscribe to the print edition of AC by Wednesday, November 1, you will receive this special December edition in the mail. After that, you will have to purchase your print copy on newsstands or via the ASC Store (where supplies will be limited). Vittorio Storaro, ASC, ASC and Woody Allen. Our Filmmakers’ Forum department will present Vittorio Storaro, ASC, AIC’s first-person account of reteaming with writer-director Woody Allen for this stylish 1950s-set period drama about a Coney Island carousel operator (Jim Belushi) and his pregnant wife (Kate Winslet) who works as a waitress and falls for a handsome lifeguard (Justin Timberlake). Taika Waititi and Javier Auguirresarobe, ASC, AEC. Javier Aguirresarobe, ASC, AEC joined forces with director Taika Waititi for the latest chapter in the big-screen saga of Marvel’s mighty Thor (Chris Hemsworth). The god of thunder faces a task of cosmic proportions as he has to battle his way out of a lethal gladiatorial contest — in which he’s pitted against his former ally, the incredible Hulk (Mark Ruffalo) — and stop the nefarious Hela (Cate Blanchett) from tearing Asgard wholly asunder. Aguirresarobe will offer a guided tour of the planet-hopping adventure. Suburbicon and Roman J. Israel, Esq. Robert Elswit, ASC and George Clooney. Robert Elswit, ASC was behind the camera for each of these features, which were directed by George Clooney and Dan Gilroy, respectively. In Suburbicon, a quiet town is shaken to its core after a home invasion opens the door to escalating violence, with the unassuming Gardner (Matt Damon) at the heart of it all. Roman J. Israel, Esq., meanwhile, follows the eponymous defense attorney (Denzel Washington) as he navigates an increasingly tumultuous and ever more extreme series of events. Elswit will detail his work on both productions in an expansive Q&A. Rachel Morrison, ASC and crew. Rachel Morrison, ASC and director Dee Rees garnered early buzz when this period movie had its premiere at Sundance this past January. Following World War II, Jamie McAllan (Garrett Hedlund) and Ronsel Jackson (Jason Mitchell) return home to rural Mississippi, where they struggle to acclimate to post-war life and to deal with the rampant racism that’s all around them. Morrison will offer her perspective on the production, which shot in and around New Orleans, La. Stephen Goldblatt, ASC, BSC partnered with director Ritesh Batra for this adaptation of Kent Haruf’s bestselling novel of the same name. When the widowed Addie Moore (Jane Fonda) pays a visit to her longtime neighbor Louis Waters (Robert Redford) — himself a widower — an unexpected relationship takes root and blossoms between the two. Goldblatt will take readers behind the scenes of the romantic drama. Stephen Goldblatt, ASC, BSC makes a point on the set. Shot Craft will offer an array of tips for cinematographers aspiring and seasoned alike. Short Takes will look at cinematographer Tinx Chan’s work on Empty Skies, a period short set during China’s Cultural Revolution and just before the Great Famine. 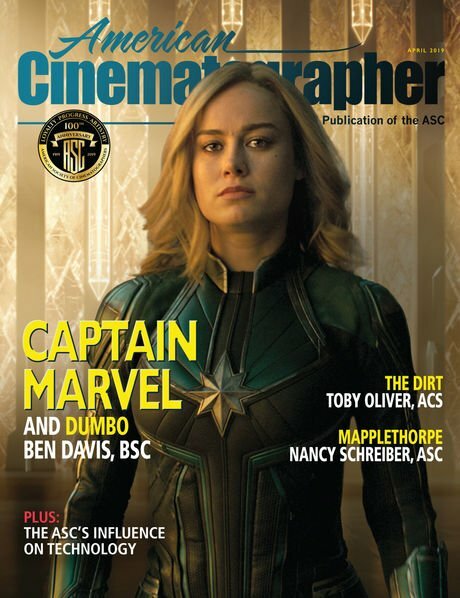 Again, subscribe to the print edition of American Cinematographer by Wednesday, November 1, to receive this December edition in the mail. 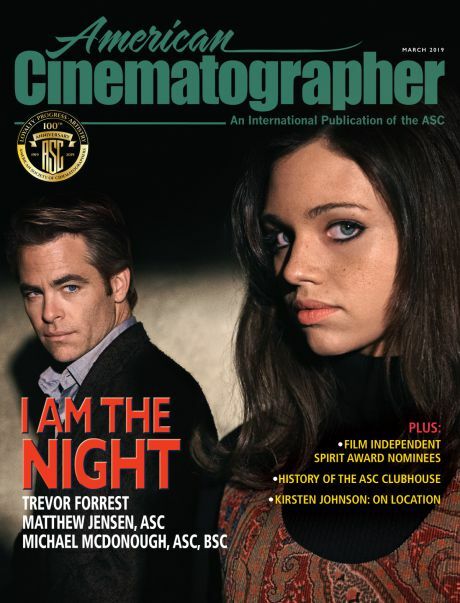 After that, you will have to purchase this issue on newsstands or via the ASC Store (supplies will be limited). Tagged: Blade Runner 2049, Roger Deakins, ASC, BSC, Vittorio Storaro, ASC, AIC, Wonder Wheel, Javier Aguirresarobe, ASC, AEC , Thor: Ragnarok, Robert Elswit, ASC, Roman J. Israel, Esq.